A new take on Thanksgibbing is live now! For the first time EVER, the Black Steel characters featured in this sale will be available for direct purchase. See what you want, buy what you want. It’s as simple as that. If you’re a previous Esports Supporter Pack purchaser, this is a great way to fill those holes in your collection or get that character you’ve always wanted. Almost every character that features in this sale will be 30% off – that’s $6.99 USD for a Legendary and $5.49 USD for an Epic. Why ALMOST every character we hear you ask? Because we’ll be featuring one character for just $2.99 USD every day of the sale. Every day at 10am PST, we’ll be rotating the selection of available characters in the Gears 4 store. If you want a character in the sale, make sure to grab it before it’s 24 hours of availability are up. 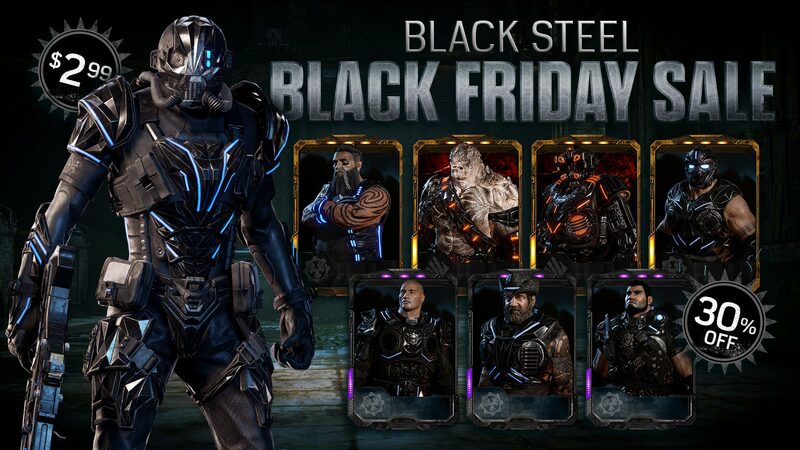 The Black Steel Black Friday Sale Day 1 is live now in the Gears 4 store featuring the characters at the top of this page. 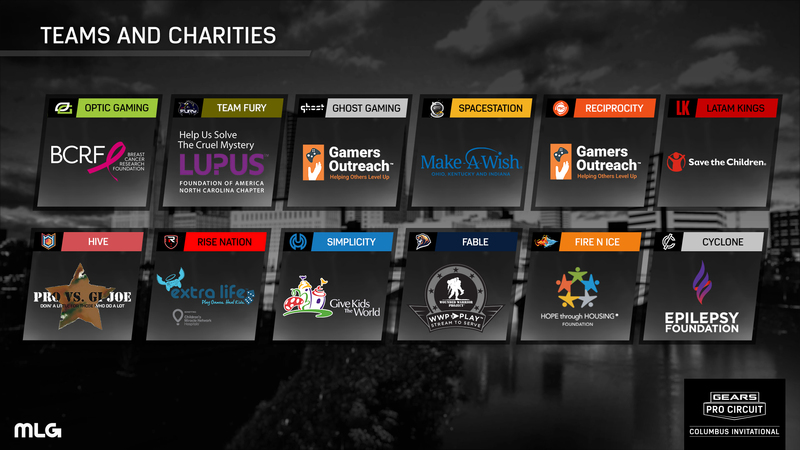 Keep an eye on @GearsofWar on Twitter and the in-game MOTD every day to see what’s on offer. Thanksgibbing is now live in Gears 4! For this year, we’ve mixed up Thanksgibbing to offer up a new hectic experience that sets itself apart from prior Thanksgibbing events. First up, the biggest change – the Cluckshot has been updated to a 3 round burst shot Boomshot with 12 rounds in the clip. Yes, you read that right, you’re going in with a burst-fire Boomshot. The Cluckshot projectiles fire slower than the standard Boomshot projecticles, and they also have a much reduced arc over distance. You’ll also have a Lancer but good luck with that. As for the game mode, you’ll be playing Blitz with 90 seconds on the clock to win. With 5 second respawns, this mode is high tempo from start to finish. As always, let us know your feedback on the mode! As an added bonus, we’ll be giving away the Cluckshot Boomshot and – for the first time – the Cluckshot Emblem to anyone who logs in over this weekend. You’ll receive these items as a Daily Reward on login from Friday 23rd – Sunday 25th only! 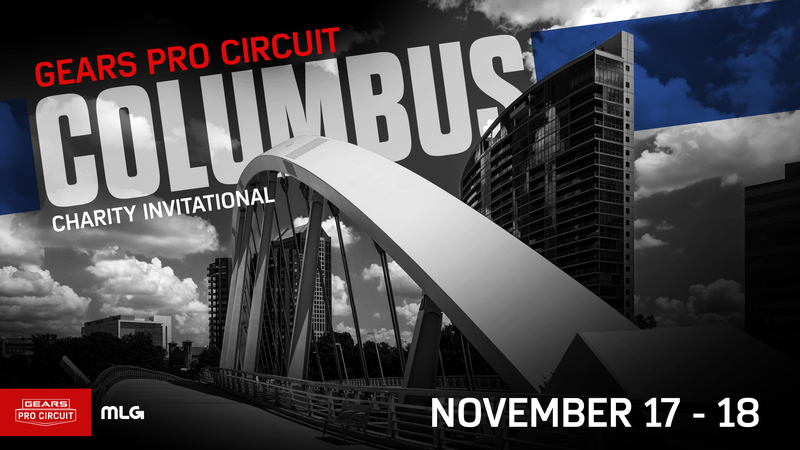 Last weekend featured the Gears Pro Circuit Columbus Charity Invitational, which saw 12 of the top teams in Gears Esports make their way to MLG Studio in Columbus, Ohio to compete for a $200,000 prize pool split equally with a charity of their choice. 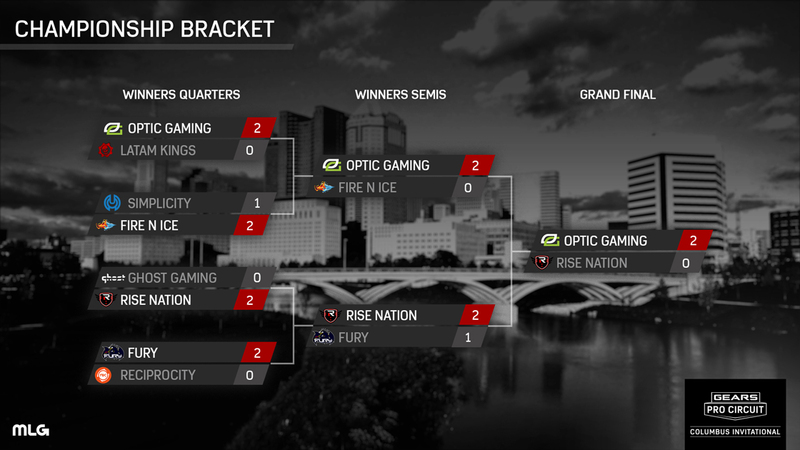 Here’s a look at the final Championship Bracket, along with a showcase of the top 5 moments from over the weekend above!